A 45-minute Workshop + 5 separate Tech Training Videos that teach you how to select, create, and automate your Lead Magnet so you can finally start growing your email list. YOU CAN GROW YOUR EMAIL LIST WITH ONE SIMPLE TOOL. You might think a Lead Magnet is a tool only for the "established" entrepreneurs in your field, but the truth is setting one up is the #1 way you'll start growing your email list. And when you grow your email list, you're growing your list of warm leads for your offerings. THE ANSWER'S RIGHT IN FRONT OF YOU. A 45-minute workshop + 45-minutes of Tech Trainings that teach you how to select, create, & automate your Lead Magnet so you can finally start growing your email list. 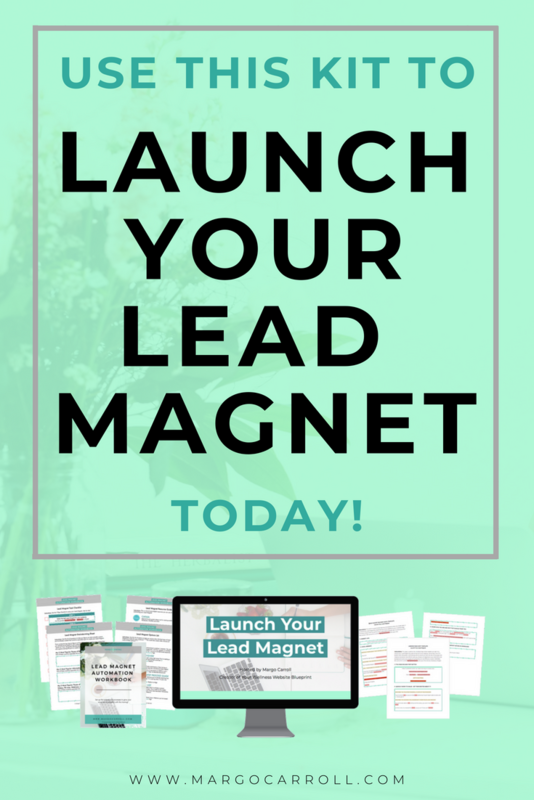 WHAT'S INSIDE LAUNCH YOUR LEAD MAGNET KIT? I help driven Wellness Pros running service-based businesses blossom into confident marketers with copywriting tools. I can't wait for you to join me in creating a Lead Magnet to grow your list! GET INSTANT ACCESS TO THE TRAINING FOR JUST $79! When you create your first lead magnet something amazing happens - you start to grow your email list. And when your email list is growing, you're way more motivated to create offers that your list will be excited about. I bet if we can launch your lead magnet, you’ll discover that you’re actually really good at booking dream clients.